Do you qualify to use the IRS Form 1023-EZ streamlined process? Our Express 501(c)(3) service takes advantage of the new IRS Form 1023-EZ. It’s streamlined and fast, but not all organizations qualify. Restrictions apply…29 of them, in fact. Take this self-evaluation now to see if you qualify! 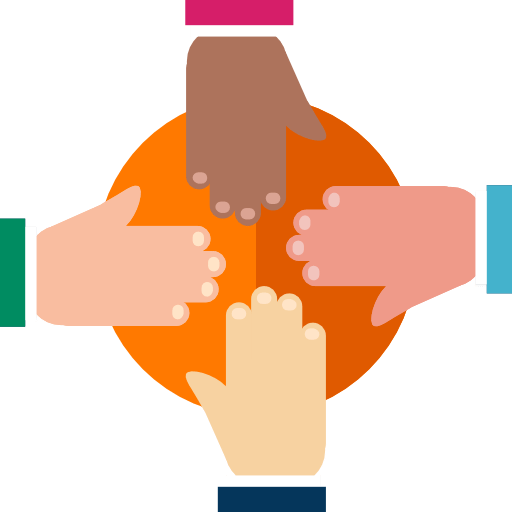 A nonprofit's income, or gross receipts, is the total amount the organization receives from all sources during its annual accounting period, without subtracting any costs or expenses. You should consider the current year and the next two years. Based on your answer, it appears that your organization does not qualify to use the IRS Form 1023-EZ. The Internal Revenue Service requires applicants using Form 1023-EZ to certify that it anticipates less than $50,000 in gross receipts, from combined cash and non-cash sources, in each of its first 3 years. Organizations seeking 501(c)(3) status that anticipate more than $50,000 in gross receipts cannot file Form 1023-EZ and are not eligible for Express 501(c)(3). Our SureStart or SureStart-Lite nonprofit formation service is better suited to your needs. Reach out to our team for more details. This question is only for organizations with prior year financial history. If no prior year history, choose "No". The Internal Revenue Service requires applicants using Form 1023-EZ to certify that it took in less than $50,000 in gross receipts, from combined cash and non-cash sources, in each of its past 1-3 years. Organizations seeking 501(c)(3) status that have had more than $50,000 in gross receipts cannot file Form 1023-EZ and are not eligible for Express 501(c)(3). Total assets includes cash, accounts receivable, inventories, bonds and notes receivable, corporate stocks, loans receivable, other investments, depreciable and depletable assets, land, buildings, equipment, and any other assets. In other words, everything your nonprofit has added together! The Internal Revenue Service requires applicants using Form 1023-EZ to certify that it has less than $250,000 in assets, as described in the instructions to this question. Organizations seeking 501(c)(3) status that have more than $250,000 in assets cannot file Form 1023-EZ and are not eligible for Express 501(c)(3). The Internal Revenue Service requires applicants using Form 1023-EZ to certify that was not formed under the laws of a foreign country, as described in the instructions to this question. Organizations seeking 501(c)(3) status that were formed under the laws of a foreign country cannot file Form 1023-EZ and are not eligible for Express 501(c)(3). The Internal Revenue Service requires applicants using Form 1023-EZ to certify that its primary mailing address is not located in a foreign country. Organizations seeking 501(c)(3) status that have a primary address in a foreign country cannot file Form 1023-EZ and are not eligible for Express 501(c)(3). The IRS disallows nonprofits seeking 501(c)(3) status from using Form 1023-EZ that are successors to or controlled by another organization that had its 501(c) status suspended due to suspicion of terrorist activity. Chances are, you don't have to guess at this answer. The Internal Revenue Service requires applicants using Form 1023-EZ to certify that it is not a successor to, nor controlled by, a designated terrorist organization. Organizations seeking 501(c)(3) status that are a successor to or controlled by organization that lost 501(c)(3) status due to suspected terrorist activity must use the traditional Form 1023. Organizations fitting this description are not appropriate clients for Foundation Group. Only answer “Yes” if you are already organized as an LLC under the laws of the state in which you were formed. This question presumes you have not already incorporated or otherwise formalized the creation of your nonprofit. The Internal Revenue Service requires applicants using Form 1023-EZ to certify that it is not an LLC entity. Organizations seeking 501(c)(3) status that are an LLC cannot file Form 1023-EZ and are not eligible for Express 501(c)(3). This may seem self-evident, but the IRS screens this just in case a for-profit company mistakenly thinks it can acquire 501(c)(3) status. The Internal Revenue Service requires applicants using Form 1023-EZ to certify that it is not a for-profit entity. If you believe your answer should be "Yes", please contact our sales team. 3. Installed the same officers, directors, or trustees as a for-profit company that no longer exists. The Internal Revenue Service requires applicants using Form 1023-EZ to certify that it is not a successor organization to a for-profit company, as described in the question's instructions. Organizations seeking 501(c)(3) status that are a successor to a for-profit cannot file Form 1023-EZ and are not eligible for Express 501(c)(3). 501(c)(3) organizations lose their status automatically if they fail to file Form 990, Form 990-EZ, or Form 990-N for 3 consecutive years. Such organizations may use Form 1023-EZ to reapply under certain circumstances. This question asks if you lost a prior status for some other reason, such as no longer having a qualifying purpose. The Internal Revenue Service requires applicants using Form 1023-EZ to certify that it is did not have a prior 501(c)(3) status revoked for a reason other than failure to file Form 990 for 3 consecutive years. Organizations seeking 501(c)(3) reinstatement status that lost status for any other reason cannot file Form 1023-EZ and are not eligible for Express 501(c)(3). Only check "Yes" if your nonprofit currently has (or used to have) IRS 501(c) status other than 501(c)(3). This only applies to already-operating nonprofits that applied to the IRS and received status as a 501(c)(4), 501(c)(6), 501(c)(7), etc. sometime in the past. If you think your answer is "Yes", please contact us immediately. The Internal Revenue Service requires applicants using Form 1023-EZ to certify that it is did not have a prior 501(c) status revoked for a reason other than failure to file Form 990 for 3 consecutive years. Organizations seeking 501(c)(3) reinstatement status that lost status for any other reason cannot file Form 1023-EZ and are not eligible for Express 501(c)(3). There is no single definition of the word “church” for tax purposes; however, the characteristics generally attributed to churches include: A distinct legal existence, a recognized creed and form of worship, a definite and distinct ecclesiastical government, a formal code of doctrine and discipline, a distinct religious history, a membership not associated with any other church or denomination, ordained ministers ministering to the congregation, ordained ministers selected after completing prescribed courses of study, a literature of its own, established places of worship, regular congregations, regular religious services, Sunday schools for the religious instruction of the young, and schools for the preparation of ministers. Although it is not necessary that each of the above characteristics be present, a congregation or other religious membership group that meets regularly for religious worship is generally required. A church includes mosques, temples, synagogues, and other forms of religious organizations. The Internal Revenue Service requires applicants using Form 1023-EZ to certify that it not a church or convention (denomination) of churches as described in the question's instructions. Such organizations cannot file Form 1023-EZ and are not eligible for Express 501(c)(3). 5. Has a place where educational activities are regularly carried on. The Internal Revenue Service requires applicants using Form 1023-EZ to certify that it not a school, college, or university as described in the question's instructions. Such organizations seeking 501(c)(3) status cannot file Form 1023-EZ and are not eligible for Express 501(c)(3). An organization is a hospital described in section 170(b)(1)(A)(iii) if its principal purpose or function is providing medical or hospital care, or medical education or research. Medical care includes treatment of any physical or mental disability or condition, on an inpatient or outpatient basis. Thus, if an organization is a rehabilitation institution, outpatient clinic, or community mental health or drug treatment center, it is a hospital if its principal function is providing treatment services as described above. A hospital does not include convalescent homes, homes for children or the aged, or institutions whose principal purpose or function is to train handicapped individuals to pursue a vocation. An organization is a medical research organization described in section 170(b)(1)(A)(iii) if its principal purpose or function is the direct, continuous, and active conduct of medical research in conjunction with a hospital. The hospital with which the organization is affiliated must be described in section 501(c)(3), a federal hospital, or an instrumentality of a governmental unit, such as a municipal hospital. An organization is a hospital organization described in section 501(r)(2)(A)(i) if the organization operates a facility which is required by a state to be licensed, registered, or similarly recognized as a hospital. The Internal Revenue Service requires applicants using Form 1023-EZ to certify that it not a hospital as described in the question's instructions. Such organizations seeking 501(c)(3) status cannot file Form 1023-EZ and are not eligible for Express 501(c)(3). An organization is an agricultural research organization described in section 170(b)(1)(A) (ix) if it is an agricultural research organization directly engaged in the continuous active conduct of agricultural research (as defined in section 1404 of the Agricultural Research, Extension, and Teaching Policy Act of 1977) in conjunction with a land grant college or university (as defined in such section) or a non-land grant college of agriculture (as defined in such section), and during the calendar year in which the contribution is made such organization is committed to spend such contribution for such research before January 1 of the fifth calendar year which begins after the date such contribution is made. A cooperative hospital service organization as described is organized and operated on a cooperative basis to provide its section 501(c)(3) hospital members one or more of the following activities. The Internal Revenue Service requires applicants using Form 1023-EZ to certify that it is not a hospital service organization as described in the question's instructions. Such organizations seeking 501(c)(3) status cannot file Form 1023-EZ and are not eligible for Express 501(c)(3). This sounds complicated, but if it describes you, you already know it. An organization is a cooperative service organization of operating educational organizations if it is organized and operated solely to provide investment services to its members. Those members must be organizations described in section 170(b)(1)(A)(ii) or (iv) that are tax exempt under section 501(a) or whose income is excluded from taxation under section 115. The Internal Revenue Service requires applicants using Form 1023-EZ to certify that it is not a cooperative service organization as described in the question's instructions. Such organizations seeking 501(c)(3) status cannot file Form 1023-EZ and are not eligible for Express 501(c)(3). c. Each insurance policy issued by the pool provide that it will not cover events occurring after a final determination described in (b). The Internal Revenue Service requires applicants using Form 1023-EZ to certify that it is not a charitable risk pool as described in the question's instructions. Such organizations seeking 501(c)(3) status cannot file Form 1023-EZ and are not eligible for Express 501(c)(3). Some nonprofits are formed for the sole purpose of financially supporting another specific, existing charity. In the case of this question, a 509(a)(3) supporting organization is set up and controlled by the charity being supported. That distinct control factor must be present to be classified as 509(a)(3). A nonprofit that has a purpose of giving to another charity(s), but is not controlled by that charity, is NOT a 509(a)(3). 1. Is organized and operated exclusively for the benefit of, to perform the functions of, or to carry out the purposes of one or more specified organizations as described in section 509(a)(1) or 509(a)(2). These section 509(a)(1) and 509(a)(2) organizations are commonly called publicly supported organizations. c. Operated in connection with one or more section 509(a)(1) or 509(a)(2) organizations (Type III supporting organization). 3. Is not controlled directly or indirectly by disqualified persons (as defined in section 4946) other than foundation managers and other than one or more organizations described in section 509(a)(1) or 509(a)(2). The Internal Revenue Service requires an applicant using Form 1023-EZ to certify that it is not a supporting organization as described in the question's instructions. Such organizations seeking 501(c)(3) status cannot file Form 1023-EZ and are not eligible for Express 501(c)(3). The Internal Revenue Service requires an applicant using Form 1023-EZ to certify that it is not providing financial literacy activity as described in the question's instructions. Such organizations seeking 501(c)(3) status cannot file Form 1023-EZ and are not eligible for Express 501(c)(3). Answer "Yes" only if your organization will invest more than 5% of its assets in stocks, bonds, or other securities that are not publicly traded through a broker/dealer and/or are not under the authority of the US Securities and Exchange Commission (SEC). For what it's worth, this type of investment activity is not considered a "best practice" for charities of any type. The Internal Revenue Service requires an applicant using Form 1023-EZ to certify that it is not investing in non-publicly traded securities as described in the question's instructions. Such organizations seeking 501(c)(3) status cannot file Form 1023-EZ and are not eligible for Express 501(c)(3). 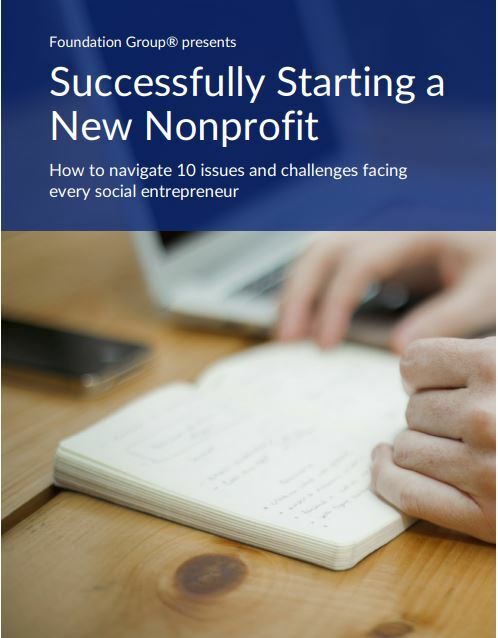 If your nonprofit expects to partner with for-profit companies or other nonprofits that ARE NOT 501(c)(3) organizations, and you expect to share in profits and losses with that partner(s), answer "Yes". The Internal Revenue Service requires an applicant using Form 1023-EZ to certify that it is not partnering with for-profit companies or non-501(c)(3) nonprofits as described in the question's instructions. Such organizations seeking 501(c)(3) status cannot file Form 1023-EZ and are not eligible for Express 501(c)(3). The selling of carbon credits and/or carbon offsets is an activity associated with greenhouse gas emission limitations as set by EPA or other government agencies. Unless this is what your nonprofit plans to do, you should answer "No." The Internal Revenue Service requires an applicant using Form 1023-EZ to certify that it is not intending to sell carbon credits or carbon offsets. Such organizations seeking 501(c)(3) status cannot file Form 1023-EZ and are not eligible for Express 501(c)(3). An HMO is a federally designated status. Prospective nonprofits should know whether or not this applies to them. Simply providing health services does not mean you are an HMO. The Internal Revenue Service requires an applicant using Form 1023-EZ to certify that it is not an HMO. Such organizations seeking 501(c)(3) status cannot file Form 1023-EZ and are not eligible for Express 501(c)(3). ACOs are entities formed by groups of physicians, hospitals, and other health care service providers and suppliers to manage and coordinate the care provided to patients under the rules of the Affordable Care Act. The Internal Revenue Service requires an applicant using Form 1023-EZ to certify that it is not an ACO. Such organizations seeking 501(c)(3) status cannot file Form 1023-EZ and are not eligible for Express 501(c)(3). In general, a donor advised fund is a fund or account that is owned and controlled by the nonprofit, but represents the donation of another individual or company. A donor advised fund "manages" those funds for the donor, and distribute monies from that fund to other charities at the direction of the original donor. The Internal Revenue Service requires an applicant using Form 1023-EZ to certify that it is not intending to operate a donor advised fund, as described in the question's instructions. Such organizations seeking 501(c)(3) status cannot file Form 1023-EZ and are not eligible for Express 501(c)(3). Testing for public safety involves testing consumer products to determine their acceptability for use by the general public. Think Consumer Reports. Answer "Yes" only if this will be your nonprofit's sole purpose. The Internal Revenue Service requires an applicant using Form 1023-EZ to certify that it's primary purpose is NOT testing for public safety, as described in the question's instructions. Such organizations seeking 501(c)(3) status cannot file Form 1023-EZ and are not eligible for Express 501(c)(3). 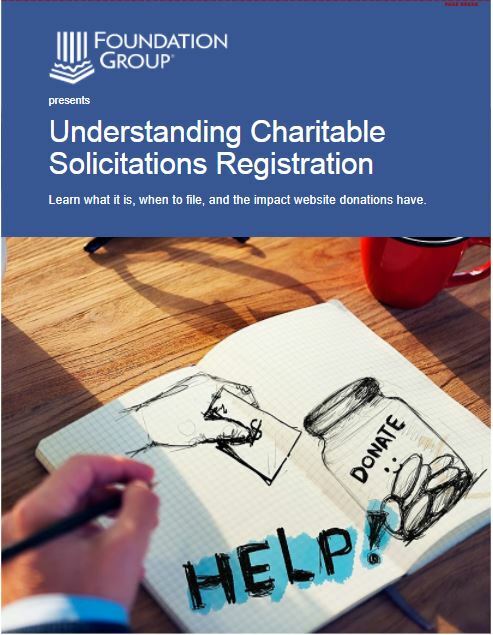 Most applicant organizations should seek public charity classification. For a variety of reasons, some may choose private foundation or private operating foundation. Unless you desire private operating foundation status, answer "No." Generally speaking, public charities have a broad donor base and conduct their own charitable programs (think Red Cross or your local homeless shelter). Private foundations are internally funded and do not have their own programs, other than giving to support the work of public charities (think Bill and Melinda Gates Foundation). Private operating foundations are considered "hybrid" nonprofits that are classified as foundations, but conduct their own charitable programs. Private operating foundation status is favorable over private foundation status, but not as favorable as public charity status. Private operating foundations are subject to strict criteria and qualifications and cannot use the IRS streamlined 501(c)(3) process. The Internal Revenue Service requires an applicant using Form 1023-EZ to certify that it is not seeking status as a private operating foundation, as described in the question's instructions. Private operating foundations seeking 501(c)(3) status cannot file Form 1023-EZ and are not eligible for Express 501(c)(3). Our SureStart-PF private foundation formation service is better suited to your needs. Reach out to our team for more details. The IRS, under certain circumstances, will allow nonprofits that had their 501(c)(3) status revoked for failure to file Form 990 for 3 consecutive years to seek reinstatement retroactively effective as of the date of its revocation. Otherwise, reinstatements usually are effective as of the postmark date of the new Form 1023/1023-EZ. Unless your nonprofit has prior status revoked, answer "No." Based on your answer, it may be possible to use Form 1023-EZ, but it is not necessarily advisable without consulting with an expert. There is simply no way to properly evaluate this situation without further review. We highly encourage you to reach out to us for more assistance with this issue. Thank you for completing the questionnaire! Because you answered "no" to each question, your proposed nonprofit qualifies for the IRS streamlined process and our Express 501(c)(3) service. Yes, I'm ready to purchase! No, I would like to speak to someone first. Foundation Group offers the most affordable solution to starting your nonprofit. If you're ready to go now, click the "yes" box below! You will then be forwarded to a checkout page. If you have questions or would prefer to speak to a Foundation Group representative first, select "No" and finish this inquiry so we have record of your completion of this questionnaire. Thank you for completing the questionnaire! Because you answered "yes" to one or more questions, your proposed nonprofit DOES NOT qualify for the IRS streamlined process and our Express 501(c)(3) service. However, even if you do not qualify for our Express 501(c)(3) Service, we offer our SureStart Nonprofit Formation System to each and every type of nonprofit organization. Please complete the rest of this inquiry so we have record of your questionnaire completion and we will reach out to discuss your nonprofit idea.